You should always try to diversify your investments as much as possible. You can achieve a certain degree of diversification buy investing in stock in a large number of different companies operating in different industries and listed in different countries. This will protect you from a down turn in a single industry or a single market. However. I recommend that you try to diversify your investments a lot more by spreading your investments over stocks, bonds, real estate and none registered assets. (IE art, antiques etc). This will help you reduce your risk as low as possible. In this article we are going to look a little closer at what you should think about when investing directly in real estate. Real estate can be very profitable and it is a good way to diversify your investment away from being reliant on financial instruments. Investing in real estate is however very different from investing in stocks och bonds. It requires you to be more hands on or you will need to hire someone to be hands on for you. The first important difference between investing in real estate and investing in financial products is that is going to cost you money to own real estate. You have to pay property tax and utilities. You will also have to pay to keep the house in good condition. A property that is not maintained can deteriorate and lose value quickly. It is very important that you keep this in mind before you buy a property. Is it a good investment even after you include all the costs? You will also need to find ways to generate an income from the property. It is possible to make money from the increase in value only but doing so is foolish and fraught with risk. It is a much better idea to turn the property into a money maker right from the start. This is usually easy if you are able to invest large amounts of money in apartment or office buildings. These usually already have tenants when you buy them. If you have less money to invest you are more likely to invest in single family homes and small commercial properties. These too can give a great return but you will usually have to find a tenant yourself and maintain the property. You might be able to hire a property manager for this. 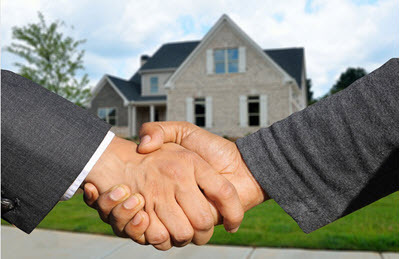 Hiring a property manager will cost you money and will reduce the profit the property is generating. On the flip side it will turn the property into a passive investment that makes you money without you ever having to spend time managing it. If a property manager is worth it or not depends on how much they charge and what is included in the service. A good manager should be able to find a tenant and maintain the property. It is always recommended to hire a property manager if you have purchased an investment property abroad or outside your local area. Real estate is a unique type of investments because it is a type of investment where you can chose to invest time and hard work instead of money. There is nothing you can do to make a stock perform better but if you invest in real estate then you can use your own time to increase the value of the property. You can do this by renovating it, painting it, putting in tile and a lot of other things that are easy to do yourself. A lot of people think that real estate is most suited for people with a lot of money. In reality the opposite is true. Real estate is an excellent investment for all those who have little money but that are willing to sacrifice their time instead to get a high return on their investments. You are not guaranteed success by investing in real estate but the truth remains that it is one of the easiest ways to get rich in America. It requires hard work, but anyone can do it.